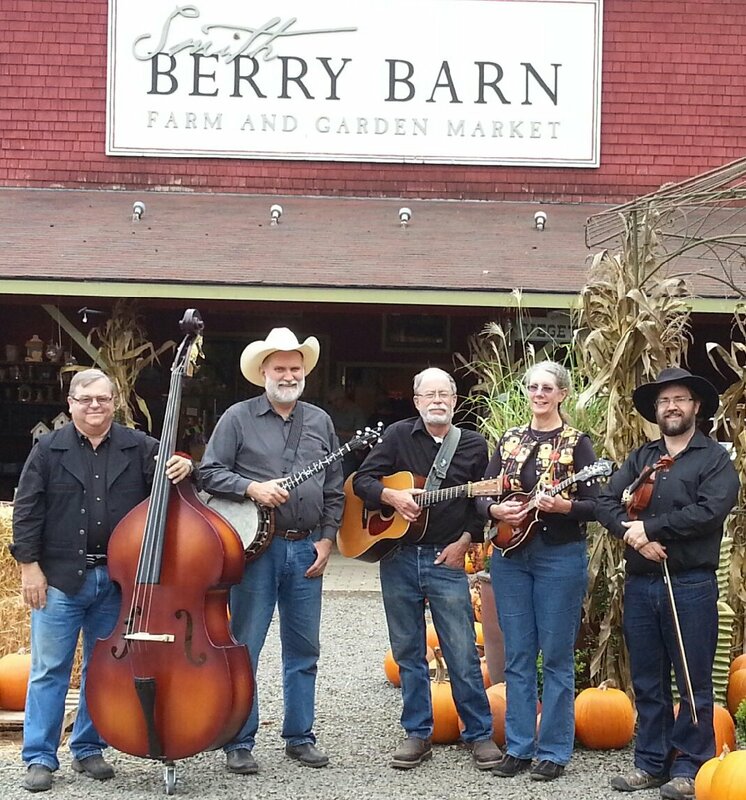 Corral Creek comes to you with a mixed set list which includes Bluegrass standards, Oregon tunes, original tunes about life experience, comedy tunes, and a few stories. Ron, Pam, Ed, Carl and Tracy have come together from various backgrounds and experiences to share their music for the last fifteen years. Many band members keep busy with day jobs, but at night or on the weekends they share their music at Bluegrass festivals, fund raisers, churches, house concerts, wineries, and special occasions. Their music has entertained folks at the Oregon Bluegrass Association Gospel Show; the High N’ Dry Bluegrass festival in Bend Oregon; the Eastside Bluegrass Series in Portland, Ore.; the Tygh Valley Bluegrass Jamboree; many years of season openers at the Butteville Store, Church Services, Weddings, Funerals and Community festivals! It’s always a family show including sing-a-longs, humorous stories, and good times by all. We would be pleased if you click on our sampler just below the photo above. Thanks Ron T.
Come on out to hear them, you’ll be made to feel welcome anytime! Find out more on our Facebook page as well.